Alasdair Fraser & Natalie Haas have an article published in the June 2009 issue of Strings magazine (AllThingsStrings.com). 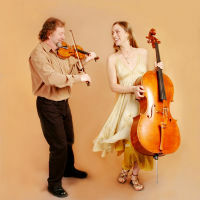 Alasdair and Natalie take a renewed look at the old tradition of partnering fiddle with cello on Scottish dance tunes. The discussion of the article focuses on the tune, John MacDonald's, and includes the sheet music. Click on this link to read the full article.